FROM A STAFF OF ONE. . .
. . .TO A STAFF OF TWO! I was born between Los Alamos and Hiroshima, twixt Trinity and Hell. Whenever opportunity knocked in the past I was usually slipping out of the back door, but when Al Aronowitz invited me to link to his site I grabbed the chance in both hands. I was born between Los Alamos and Hiroshima, twixt Trinity and Hell. 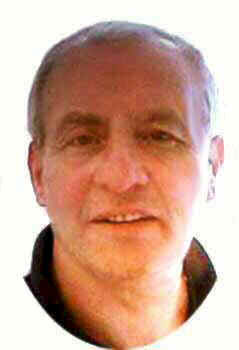 I have been a tailor, an engineer and a sailor, before becoming a teacher of English in Liverpool. I have two children, both boys, who see me as a whetstone to sharpen their wit upon. I also have a wife who has steered my foundering ship through many a maelstrom. In the past, whenever opportunity knocked, I was usually found slipping out of the back door, but when Al Aronowitz invited me to link to his site I grabbed the chance in both hands. The writings in these pages flow from Liverpool, the city on the river Mersey that gave to the world the Beatles, football excellence and wit. Liverpool was, sadly, long ago, the richest port of the slave trade. There is a long history of Irish, Jewish, African and Asian immigrants who came here for diverse reasons. Indeed, Liverpool is home to the oldest Chinese community in Europe. The names of two of the Beatles, Lennon and McCartney, reflect the influx into Liverpool of the Irish victims of the famine. In fact, the strength of Liverpool's Irish population has led to our city being nicknamed the capital of Ireland. Our cosmopolitan nature is reflected in the mosques, temples and synagogues that can be found here in Liverpool but we are, in the main, Catholics and Protestants. Although Liverpool is no longer the world's greatest sea port we Scousers still wear the jeans that were made popular by the transatlantic sailors of the fifties, plying their trade from a town that was still reeling from the assaults of Hitler's Luftwaffe. Ironically, before the war, Hitler's half-brother Alois lived in a flat at 102 Upper Stahope Street and 22-year-old Adolf had actually spent six months with Alois here in Liverpool! Our greatest passion is football, and we have three great teams, Liverpool football club, their reserves and their youth football team! To be absolutely fair Liverpool is also home to Everton football club, one of the oldest football clubs in the world. The fact is, Everton football club was the parent of the breakaway Liverpool football club. We also have two great cathedrals, the Liverpool Metropolitan and the Liverpool Anglican, one for each of the Catholic and Protestant traditions. Liverpool has known its share of tragedy. In the year 1900 three cities tragically led the world league for infant mortality, Dublin, Liverpool and Calcutta, in that order! For our many immigrant communities the long and winding road ended at a Liverpool workhouse for the indigent, or a mass grave for the victims of cholera and Scarlet fever. During the blitz of 1941, when the Luftwaffe pounded Liverpool nightly, as it was the key to the western approaches of the Atlantic, almost 20,000 people died. In the Atlantic itself the German U-Boats accounted for thousands of locally born seamen, including my namesake, whom I never knew. Twenty-five years later four Liverpool lads would sing 'Give peace a chance’ because they knew instinctively that all we need is love. The Beatle's song,'Places I remember', reflects their love of Liverpool. Of course, Liverpool was on the map long before the Beatles put it there and if you want to spend a pleasant read, here’s how a kid grows up to manhood in that famous Mersey seaport. And how he follows his hometown trade of sailor to voyages off to far-away places like Japan, Israel and elsewhere. And how he attains middle age to teach English to the local Scouser children and, finally, to writes about it all with the same Liverpudlian humor and whimsy you find in Beatles songs. You want to know more? Just click on http://www.thefreeinternet.co.uk/deltadreamer/liverpool/. of charming storytellers. Some of John’s tales are more ruminations than narratives, but he’s the kind of writer who can make even a death notice to read. Some of the stories will have you on the verge of tears. And some will make you split your sides. Such as the one, entitled The Mild Bunch, which tells about a couple of characters John calls Smash and Grab. It was with them that John experienced his only run-in with the Liverpool constabulary. At least John says it was his only run-in. As I’ve said, the stories are told with the same kind of humor you’ll find in Beatles songs and in the same Liverpudlian accent. If you didn’t already know, that’s called Scouse. In John’s stories, Beatle fans will learn some of what their heroes faced growing up in that Northern English city on the Irish Sea. Because John William’s tales, although they are mainly about himself, are also about experiences that any Liverpudlian kid might have had to go through. Such as soccer and sailing and Liverpudlian dating practices. Such as in a piece entitled You Say Hello, I Say Goodbye. It all started one summer's night when I met Helen. Just seventeen, she was pretty, completely innocent and entirely without guile. I was nineteen and a battle-hardened veteran of the sexual revolution. I walked her home and despite her undoubted charms I didn't pursue anything other than a half-hearted attempt at making a date for the following week. Now it so happens that up until then I had never stood anybody up in my life. Moreover, I was always the first to arrive on a date because I was too insecure to imagine that a girl would wait for me for any length of time. However, I stood Helen up, with more than a touch a twinge of remorse as she was a nice trusting kind of person. One night I called for her to find her in a state of great agitation. She was 'late' and she had already consulted the old wives who told her a tale about the efficacy of something called slippery elm. The 'remedy' failed and it wasn't too long before I was facing the hostile gaze of her clan.
" How many months are you?" John has been around the world and around the block, as they say. Today, his wife is named Marian. John’s own father sailed in those convoys. John grew up listening to Rock and R/B because, as all Beatle fans have learned, sailors returning to Liverpool from the United States brought back records not available elsewhere in England ---everything from R/B to Country. As a sailor, John lived in Israel for a while. John says he has another reason to be grateful for his education. John is such a Liverpudlian that he decorates his website with Liver Birds, which makes me wonder: were the birds named after the city or vice versa? Another chicken and egg story? Liver birds don’t lay eggs, because they’re fictitious. Actually, John actually has two websites---“one to demonstrate my love for the city on the Mersey, Liverpool Tales From the Mersey Mouth, and one for what I laughingly refer to as poetry. Poetry reclaimed.” For John’s “Poetry reclaimed,” click on http://www.thefreeinternet.co.uk/deltadreamer/liverpool_poetry . 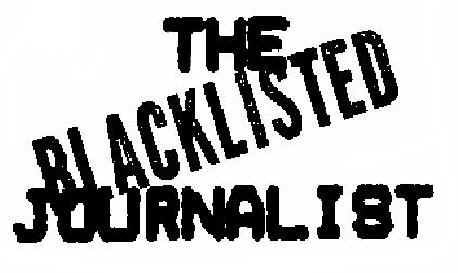 I’ve always needed some help with producing and maintaining my website and when John pitched in to assist me in giving THE BLACKLISTED JOURNALIST a badly needed facelift---something that is ongoing and something that has proved to be a very labor-intensive task---I asked him to join me as associate editor. I need somebody to holler at who will holler back at me. I can’t tell you---but I’m trying---how very pleased and grateful I am that he has taken the job. In addition to his editorial contributions, John will also contribute some of his writings, such as THE GREENING OF LIVERPOOL in SECTION TWO of this Column, number Fifty-Nine. The ongoing facelift has not only occasioned the lateness in publishing Column Fifty-Eight, dated April 1, but it also is the reason why Column Fifty-Nine, dated May 1, is also late and consequently has had to be abbreviated. Also, all serializations will be resumed in a future column. Already accomplished, however, is the installation of codes in each Section that will record every visit by a reader. As a result, we’ve learned that we’ve been far underestimating the number of hits THE BLACKLISTED JOURNALIST has been receiving. THE BLACKLISTED JOURNALIST is bookmarked on a growing number of computers all around the world. And our revised estimate is that as of now we have had more than 300,000 hits since the inception of the website in September of 1995.